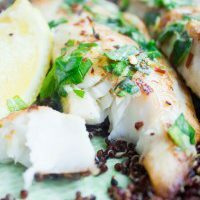 This quick zesty herb tilapia recipe is simple, flavorful, really quick, and a perfect way to enjoy a seafood dinner. 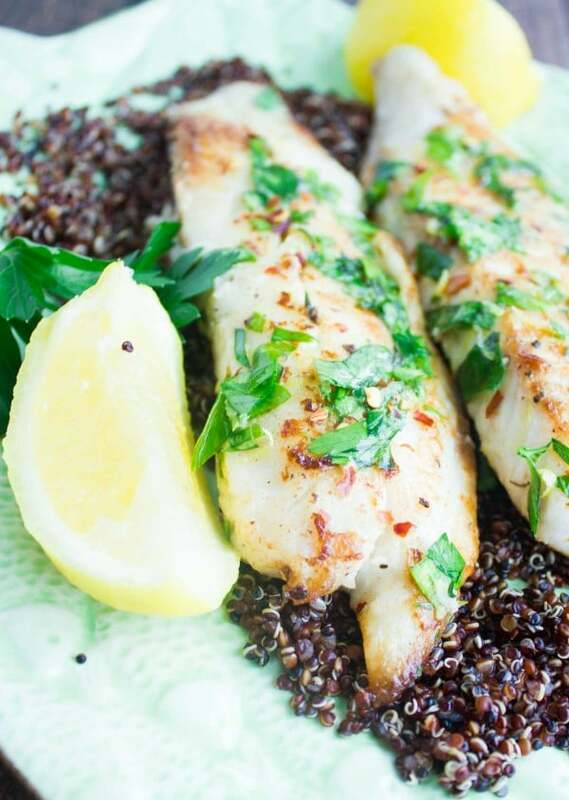 Flakey cooked tilapia is topped with lemon herb butter and served on a bed of quinoa flavored with the same butter. It’s a main and side that take 15 minutes start to finish, giving you more time to unwind and enjoy!It’s another seafood dinner for us here. I received a few requests for fish recipes and frankly I couldn’t be happier! Mostly because I love getting recipe requests and e-mails to connect, and secondly I also love seafood. I am like everyone who’s wants to incorporate more fish into everyday dinners, I just find myself restricted with the little ones, who aren’t as enthusiastic about it. This recipe is particularly special because I made it lately at a special fundraiser cooking class for my littlest one’s play school and it was a success! I love simple straight forward recipes that really require no fuss, but offer much flavor in return. 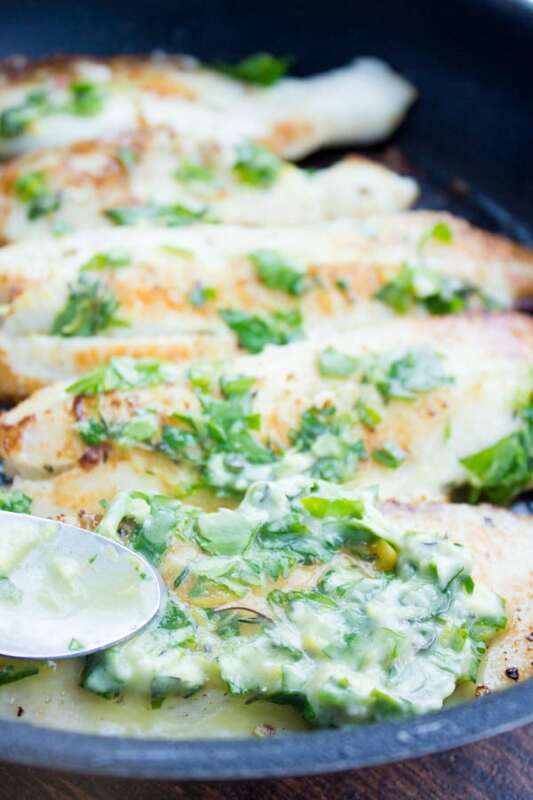 Yes, this quick zesty herb tilapia is in fact all of that. 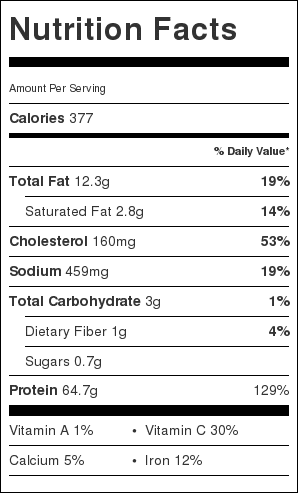 I chose tilapia fish because it has a very neutral taste and so the tiniest bit of flavor will shine here. 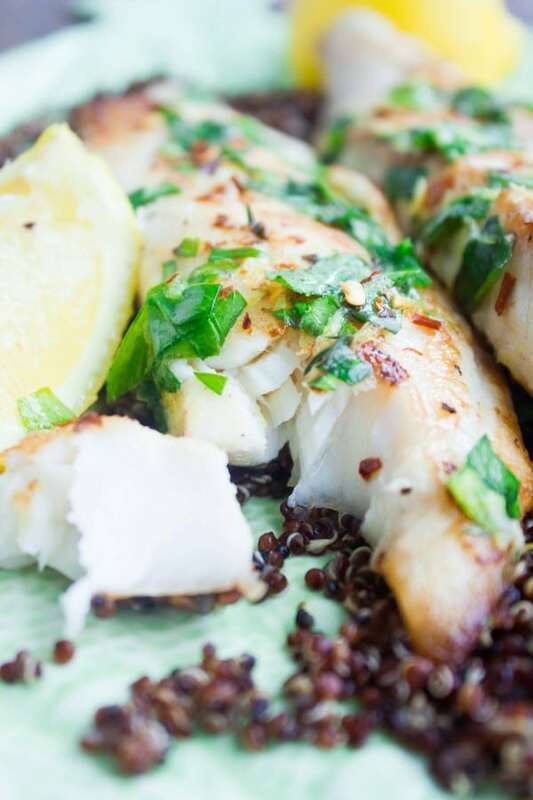 As obvious as it may sound, I chose lemon and herb flavor to shine the most with this tilapia. You can play around with flavors and spice to make it a different recipe every time you make it. Think ginger, soy sauce and cilantro for example, or strong Indian spices and herbs, a nice scoop of this restaurant style salsa..the possibilities are endless. This quick zesty herb tilapia starts by searing the fish fillet on each side for 3 minutes, covering it for an extra 2 minutes till it cooks through. In the meantime a mixture of lemon zest, herbs and pepper flakes are mixed with just a little bit of butter (you can use olive oil if butter is not your thing). And now once the fish is perfectly cooked, just a small teaspoon of this lovely flavored butter is slathered on each fillet while it’s still hot. The butter starts to melt and the lemon-herb flavors start to infuse into the fish making it taste out of this world delicious! This particular way of flavoring or reverse marinating or cold marination or however name you like to call it, is actually very popular in some cuisines—hello Argentinian steaks chimichurri ! The basic concept which can be applied to fish, steak, chicken or veggies, is to cook them with simply salt and pepper. After they’re fully cooked, they are either soaked or topped with a boost of flavor either with oil, butter like here or a type of vinaigrette, or any other flavor you like. This infuses so much more flavor than the traditional marinating method. And not only that, it’s super quick and convenient when you’ve got no time to marinate. Take the fillets and season them with salt and pepper. Over medium high heat, place a skillet with the olive oil for a minute until hot. 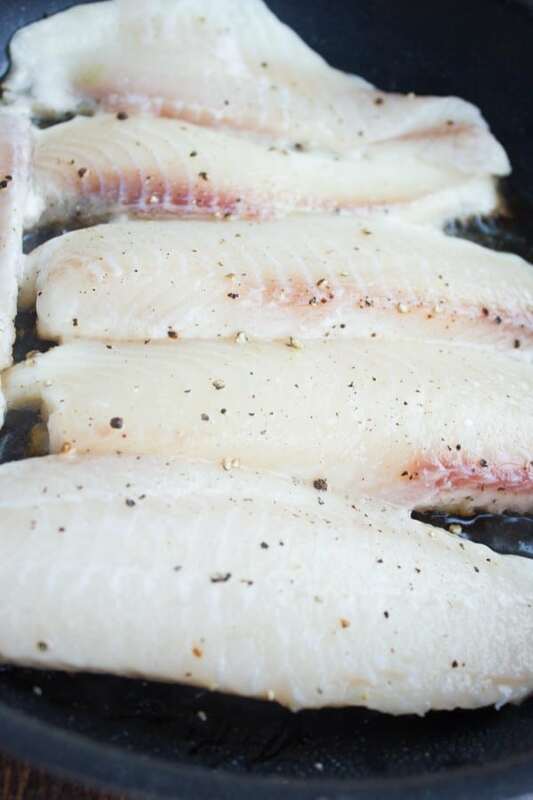 Place the tilapia fillets in the skillet and sear them for 3 minutes, flip them and cook them for 2 minutes. Cover the skillet and lower the heat to medium low. Let the fish cook through completely for about 2 minutes extra. 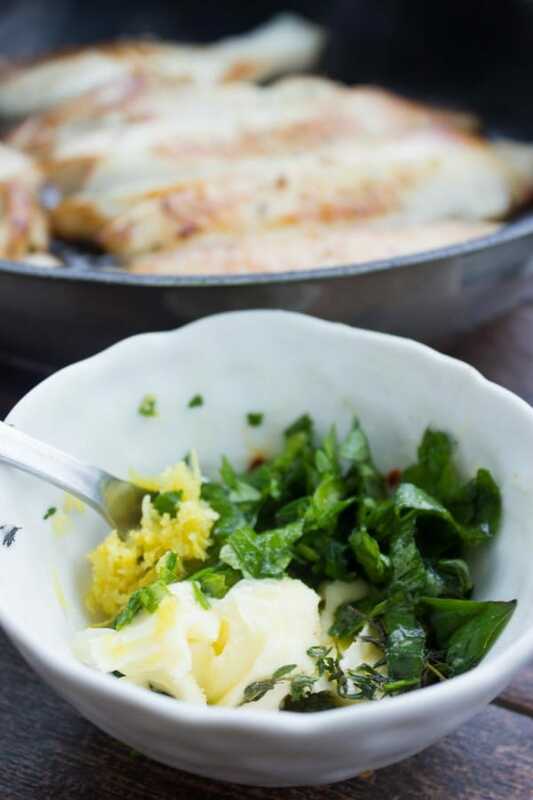 Remove the fish from the skillet and serve topped with a teaspoon of the lemon herb butter. Alternatively, you can bake the fish for 10 minutes in the middle rack of a 450 degreed F oven for 10-14 minutes. This tilapia dish is soo satisfying! The lemon zest and butter flavor was so intense and was ready in no time! The other reason why I loved it is because my 3 year old daughter that ONLY eats fried fish had a bite and said Mummy the fish is soo Yummy! and finished her whole serving!